Here you can see the front seats have been installed. They have been recovered with the factory type covers and all new padding. We still have to install the front door panels and front and back glass and the new back up lights that should arrive tomorrow. Pretty cool little bug, I know the owner will enjoy it. This Hyundai was involved in a bump up while sitting in the drive way and unfortunately it was also parked close to a pole. So not only was the back damaged the front was as well. First thing we did was remove the rear bumper and interior panels to further inspect the damage on the rear. Once that was all apart we moved to the front of the vehicle and removed the head lamps and front bumper. We also went ahead and repaired the bumper and fender today. Tomorrow this one has to go to the frame shop to get that rear body panel pulled back into shape. 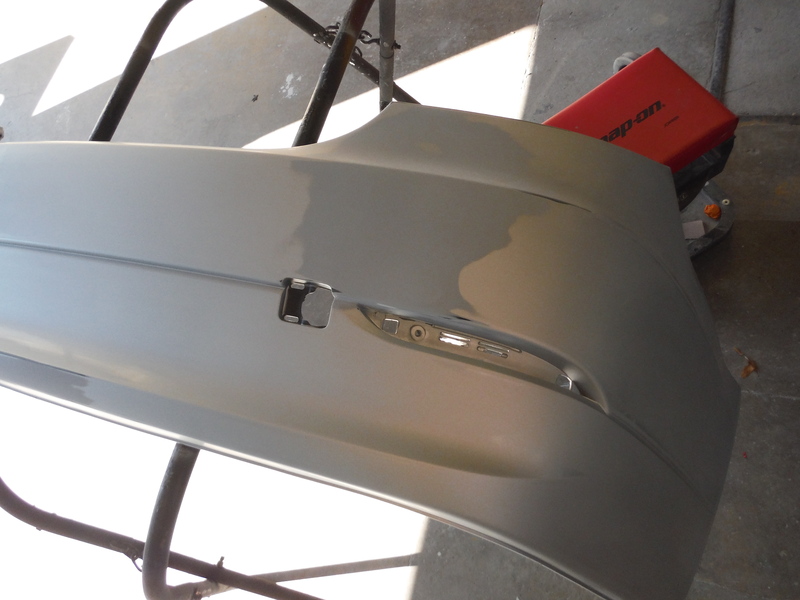 Once thats done, we will install a new hatch and get it all painted back. So far things have moved very smoothly on this repair. Hopefully the rest of the job will as well. This Accord was backed into in a parking lot. We will be repairing the quarter and the rear bumper on this one. We started by removing the bumper and the interior from the trunk. This allows us to straighten the biggest part of the damaged area to reduce the amount of filler needed to straighten the metal out. As you can see there was a little more damage hidden behind the bumper. We fixed that as well while we were at it. 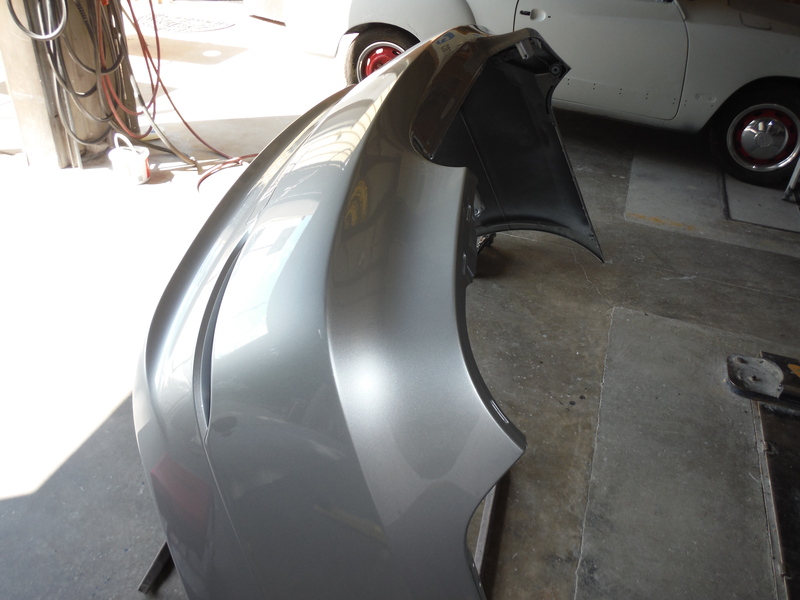 Once the body was good and straight, Paul did his part and laid down a nice paint job. Tomorrow we will put this one all back together and it should be heading home by early afternoon. What you see is the result of a little parking lot mishap. Someone hit this Tiguan in the fender/bumper area and did a fair amount of damage. After disassembly, we found that we will be replacing the fender, bumper, right head lamp as well as the fender well molding and a bumper bracket. We hope to get the parts ordered tomorrow so we can get this one repaired next week. This BMW was in tussle with a post in a parking lot. It did a very small amount of damage to the bumper but unfortunately the guys wife wouldn’t let him live it down. So, he stopped by to have it repaired for her. We first removed the bumper to allow access to the back side of the bumper. We heated the bad spots and molded them back to as close to where they were supposed to be as possible. We then filled the low areas and blocked it out to smooth up the area as best as possible. 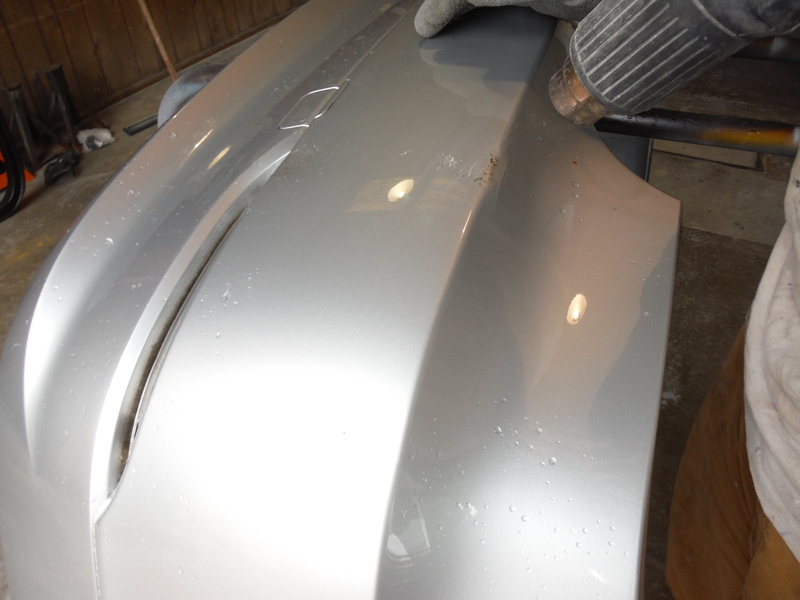 Primer was then put on the repair to fill in the final spots and provide a nice base for the paint. 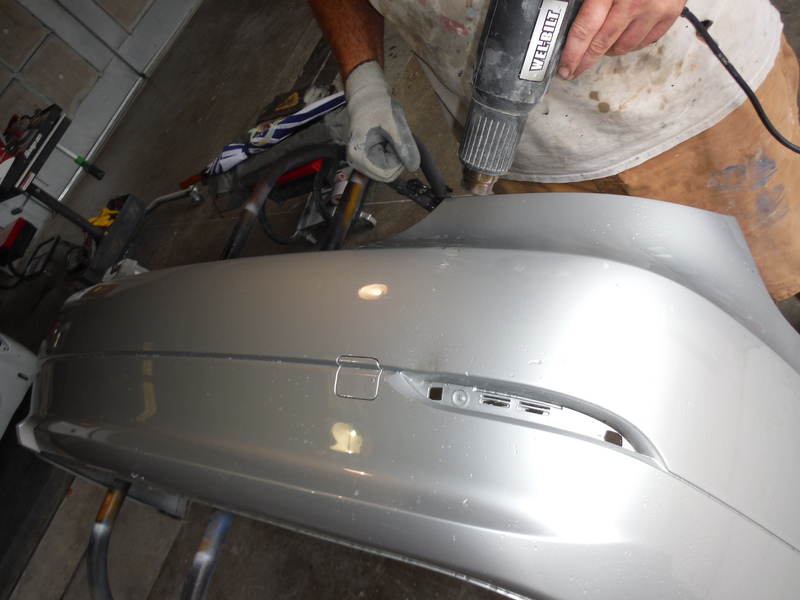 The entire fender was then sanded to ensure a good adhesion for the sealer and paint layers that followed. 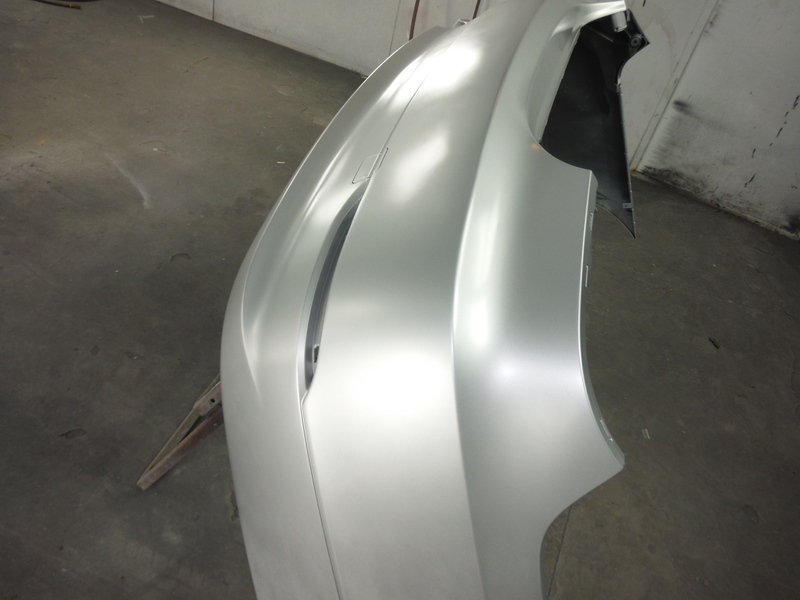 2 coats of clear rounded off the repair. Tomorrow we will reinstall this bumper and get the car back to its owner.